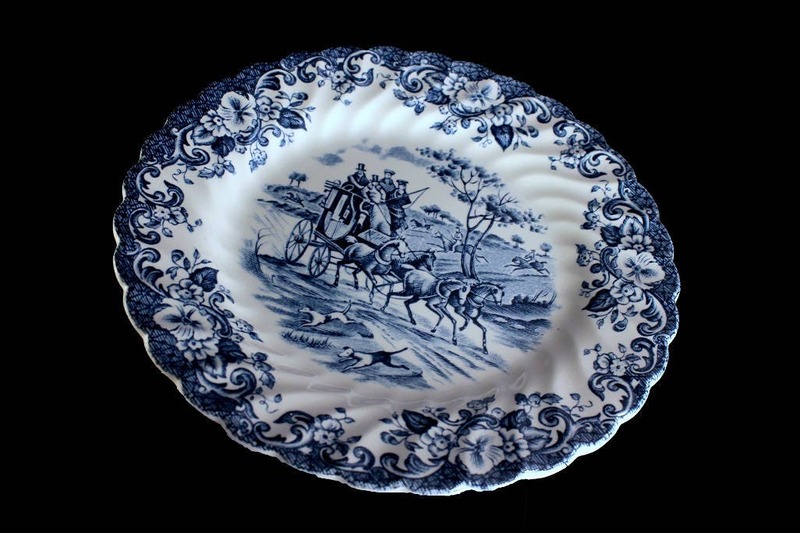 A lovely bread and butter plate made by Johnson Brothers in the Regency-Blue Coaching Scenes pattern. 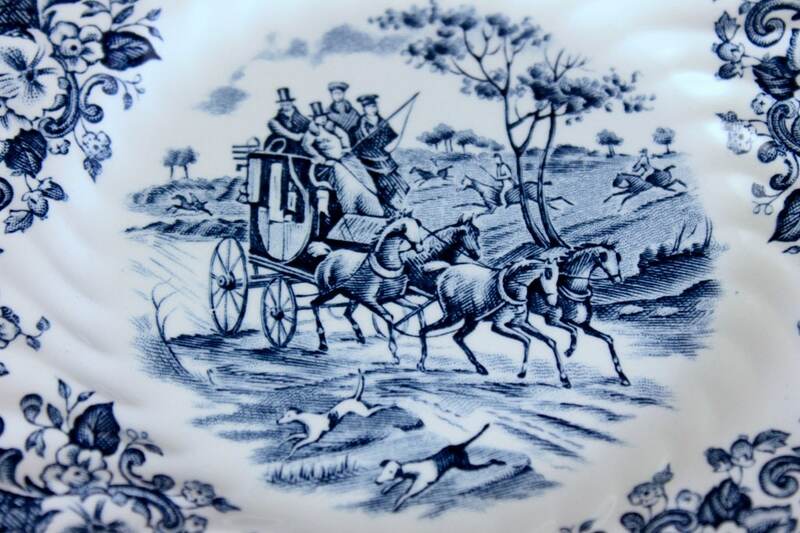 The color is a beautiful blue and the image is called Hunting Country. 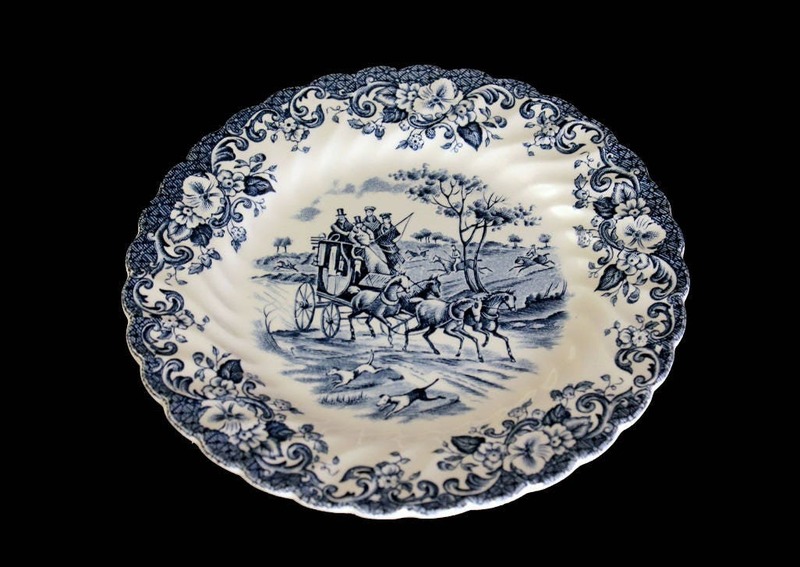 This plate would be a wonderful display piece for your china cabinet or as wall decor. It would be an excellent replacement piece for a set. 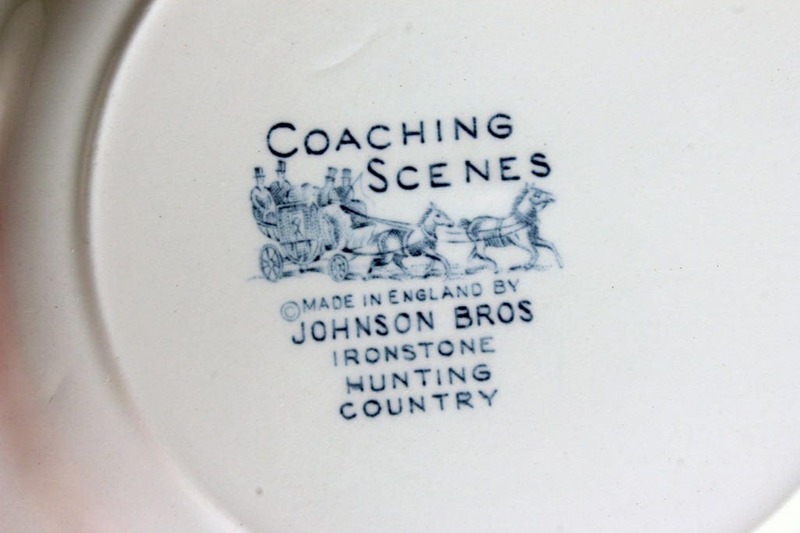 Johnson Brothers Co. was founded in 1883 by Frederick and Alfred Johnson. 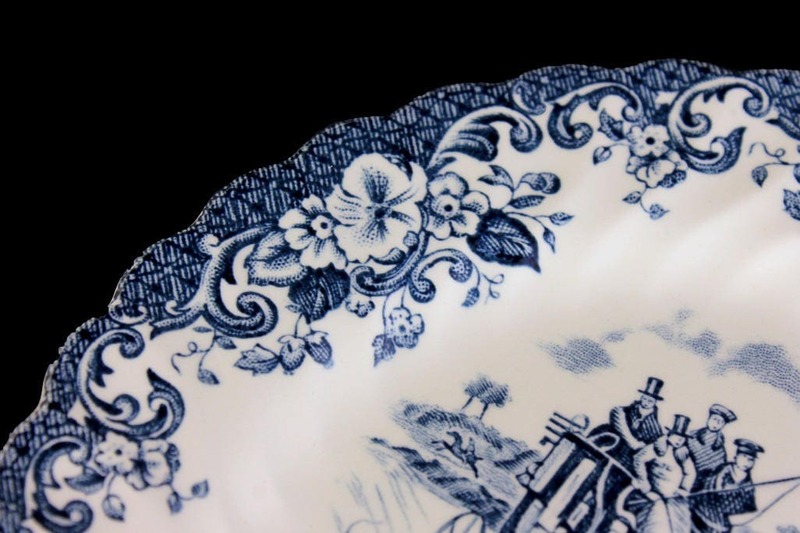 By 1888, Frederick and Alfred’s elder brother, Henry, had joined the company, which produced its wares in a factory called the Charles Street Works in Stoke-on-Trent. 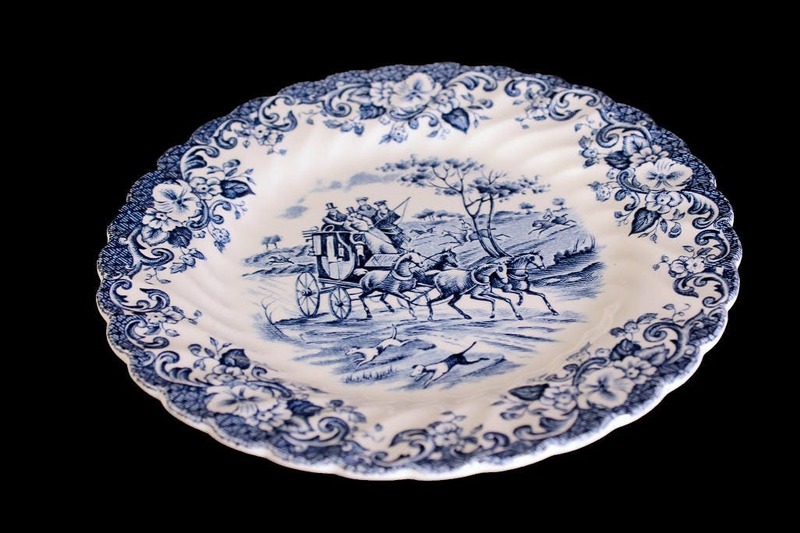 Finally, in 1968, unable to remain independent any longer, Johnson Brothers joined the Wedgwood Group.